Normally on Saturday Sleuthing we delve into the history of a car from the Supercars Championship era of touring car racing in Australia, but today we’ve elected to go for something different and a car many readers will remember well. These days Paul Morris spends his time racing Stadium Super Trucks in various locations around the world, but back in the early 1990s he was a young emerging Gold Coaster that formed part of the factory-backed BMW racing team based in Queensland. 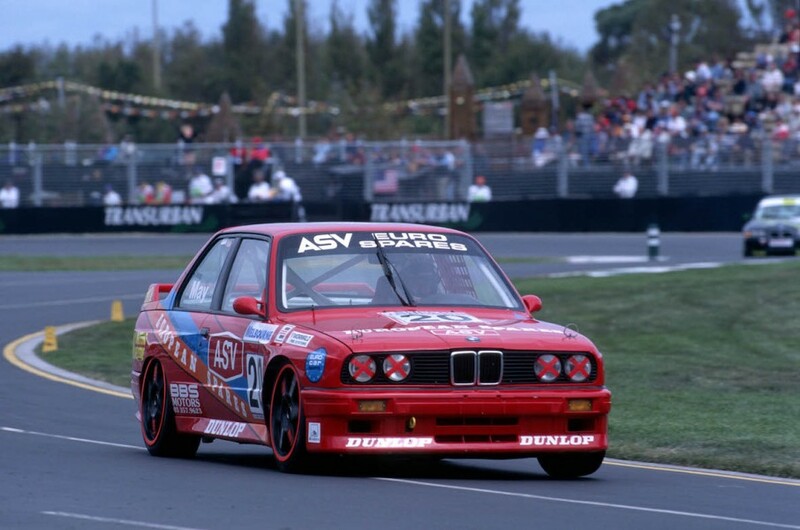 When the five-litre V8 rulebook that morphed into V8 Supercars and now Supercars was first introduced full-time for 1993, the involvement of the nimble and agile 2.5-litre BMW M3 Group A cars that had been competing in Australian touring car racing since 1991 was retained. LOGAMO - the combination of Tony Longhurst (the ‘LO’), the late Frank Gardner (the ‘GA’) and Terry Morris ‘MO’) - had run B&H-backed M3s in the previous two seasons and added a third car for 1992 driven by Morris Jnr alongside Longhurst and Alan Jones. 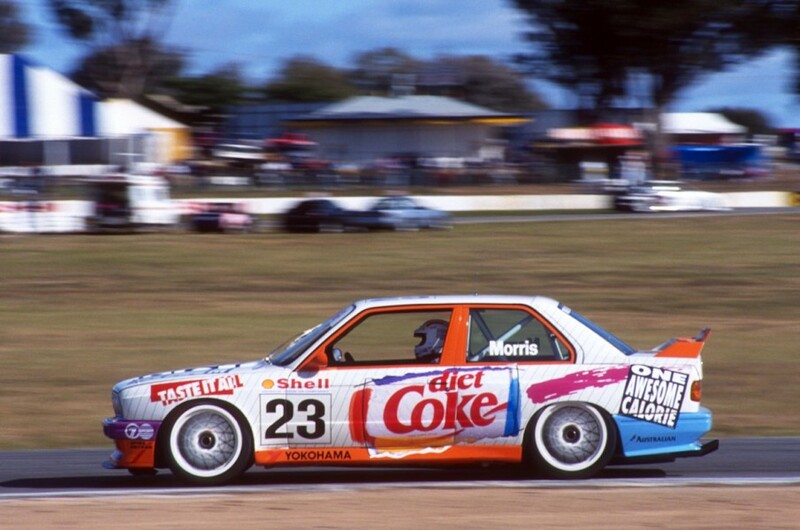 When 1993 arrived the team expanded to four cars with two B&H examples for Longhurst and John Blanchard (father of current CoolDrive Supercars driver Tim) and two Diet-Coke-backed cars for Morris and Geoff Full. 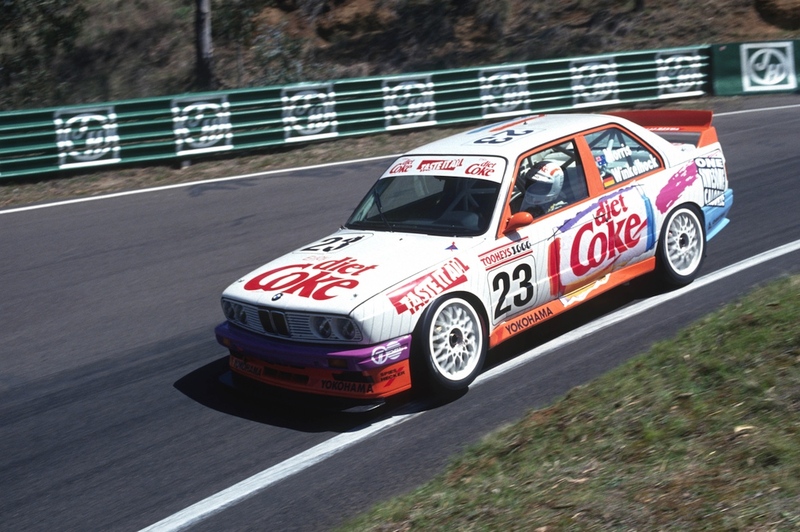 Today on Saturday Sleuthing we’re focusing on the #23 Diet-Coke M3 of Morris from that season, a car that in fact started its life in ’92 racing in the German DTM in the hands of Italian superstar Emanuele Pirro for the Bigazzi team before it was sent to Australia for the ’93 season and became ‘The Dude’s’ car for the entire year. At the beginning of 1993 some had predicted that the light BMWs would run rings around the new generation Commodores and Falcons, with the M3 pilot’s job made all the more difficult by the decision pre-season to add weight to the German cars, bringing them up to 1100 kilograms. Mid-season the BMWs were permitted to run their full rear wing akin to how the car had run in German DTM spec with an extended front splitter; though the drivers reported at the time it didn’t seem to help much. Morris’ stand-out weekend in the Diet-Coke car that season came at Eastern Creek where he ran hard with the V8s, taking eighth and fourth in the pair of races to finish the weekend fourth overall. “The big thing you noticed with those cars back in those days was the tyre life and braking,” recalls the 2014 Bathurst 1000 winner. “You just got better and better as the races went on (in comparison to the other, bigger cars). In the end he finished 16th in the championship, the points structure of the era (where two-litre class cars could score solid hauls of points with their own pointscore within the overall pointscore) making the result appear not as glowing. 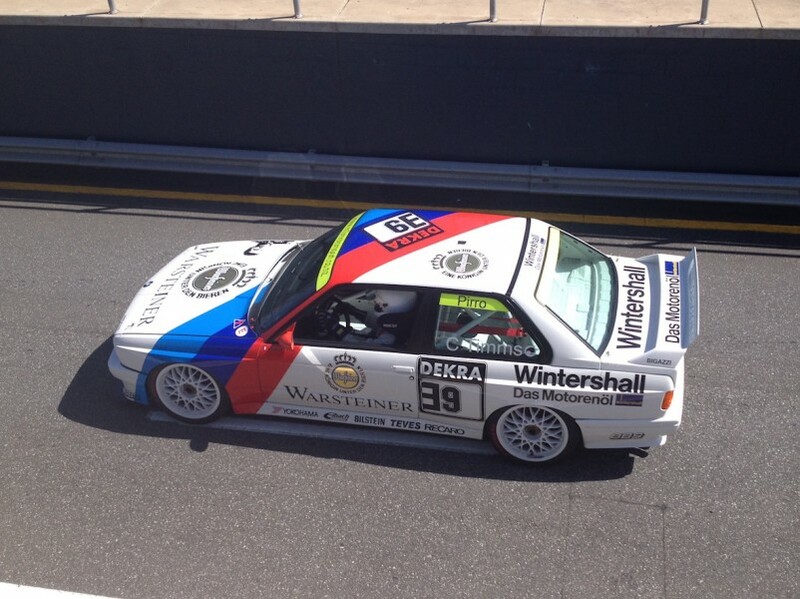 The BMW team skipped the Sandown 500 in ’93 so the next time they lined up was at Bathurst where Morris was joined by German superstar Joachim Winkelhock, who was fresh from claiming the British Touring Car Championship over Schnitzer teammate Steve Soper. ‘Smokin Jo’ was indeed special at Bathurst, whirring around the Mountain in 2m15.90s to qualify 11th and narrowly miss a coveted place in the Top 10 Shootout against the pack of V8 Falcons and Commodores. It was a stunning lap time in his first trip to Bathurst (and in fact the fastest lap time ever recorded by a BMW M3 around the famous track), though race day proved problematic. “I remember it broke the slave cylinder off the bell housing, so Jo came in and said he didn’t want to drive it anymore,” recalls Morris. “I just went out and drove it around without a clutch for the rest of the race. He’d worked out we weren’t going to win so he just got out of the car! “I remember him driving the T-car (test car) and he spun it in the Dipper and just kept going! He was pretty lit that dude, he just drove the car, went back to the motor home, had a smoke and fell asleep! Morris and Winkelhock ended up finishing 15th at Bathurst after their delays, completing 146 laps compared to the winner’s 161 laps. That proved to be the last time the car raced for the factory team with the BMW squad moving into the two-litre championship the following season. While Morris moved into a 318i his old Diet-Coke M3 followed him to the two-litre category, detuned and converted to two-litre spec and repainted red in Momo colours. Driven by Mark Adderton it finished seventh in the 1994 championship. Over the following years it was raced in the Australian two-litre series by a range of pilots including Mark Seymour and Les May until Kiwi Conrad Timms eventually acquired it in 2009. From there he’s restored it back to its 1992 DTM-spec as raced by Pirro with one of the 2.5-litre engines it ran in the period that pumps out just over 350 horsepower. It has returned to Australia too, Timms racing the car in Historic Group A touring car competition at the Phillip Island Classic historic event back in 2014. 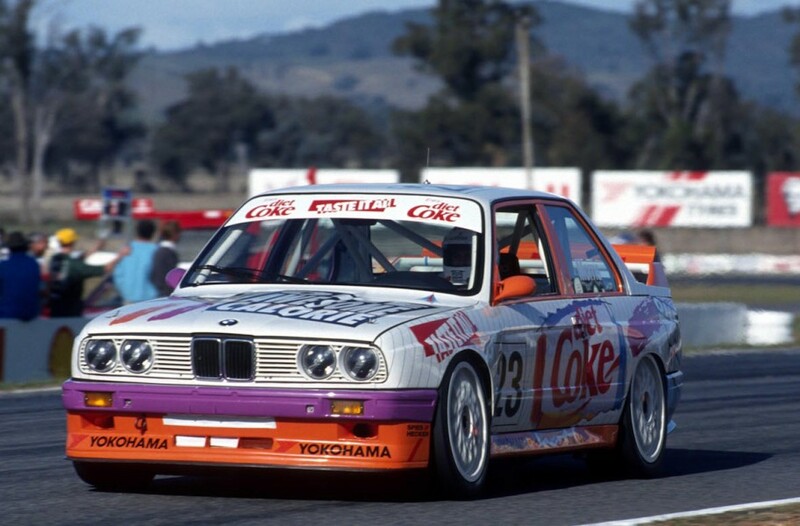 While it’s a shame not to see the car back in its Diet-Coke livery as raced by BMW aces Morris and Winkelhock, it’s nevertheless great that this interesting piece of touring car racing history lives on given its pedigree and original racing life overseas.